If you've been to the Old Schoolhouse Brewery lately you might have seen a new name on the menu. Runaway Red, created by brewers Blaze Ruud and Kyle Koger, was inspired by Kyle’s dog Cedar who would regularly escape their yard to make his way to the brewery. A Winter Style IPA , Runaway Red boasts classic Northwest hop varieties and a complex malt profile making it a deep red color and less bitter than the brewery’s Flagship IPA, the Ruud Awakening. So far, the red has been lauded by locals and tourists alike (myself included) and is expected to grow in popularity as it begins to peak this week. Although Ruud and Koger normally prefer to stick to classic styles of beer, the creation of Runaway Red has been a fun experience for the veteran brewers. A self-proclaimed beer classicist, Ruud says that he “likes to experiment with new flavor profiles motivated by the demands of the people.” For example, OSB is currently working on an IPA with a lower alcohol content (but same great taste) that would allow cyclists to stop in for a beer and still safely navigate themselves home. Stop in at the Old Schoolhouse Brewery today to try Runwaway Red for yourself. Keep an eye out for upcoming Old Schoolhouse events and specials on their Facebook page as well as for information about the upcoming "Winthrop Hop Rendezvous," a newly formed Brew Fest, in partnership with the Winthrop Chamber of Commerce. Taste the brews of 10 Washington breweries at the Winthrop Ice Rink on June 21st from 1 - 6 p.m. The event will happen alongside a local mountain bike festival. More details on that to follow. 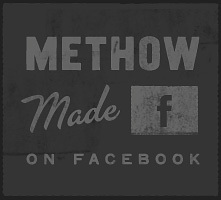 Posted on February 25, 2014 by Methow Made.